Just like in 2008, it's all coming down to the super delegates. Obama's win was secured when 2/3 of the superdelegates decided that he would be the better Democratic candidate for president. In order to restore democracy and prevent the Democratic Party from committing hari kiri, the super delegates should vote to give Bernie Sanders the Democratic presidential nomination in 2016. If Obama represented "hope and change" on immigration, climate change, and health care; Sanders represents the future of the party through bold foreign and domestic policy positions that have brought him ahead or close in national polls. His hark back to FDR-style politics -- including investment in infrastructure, schools, and people -- and his flat rejection of the neoliberal and neocon politics practiced by Hillary Clinton and her family has led to a new electoral energy. Bernie's politics and his candidacy must represent our future. So say Democrats, with whom he polls a majority after almost an unbelievable rise (although thanks to a corrupt political, media and corporate establishment that benefits Clinton more than any politician ever, Sanders has only 45 percent of the pledged delegate count.) So say the young generation who have often voted for him in 7:1, who represent the future of our country. So say independents, a category that describes more citizens than either major political party, who seek a candidate opposing rampant militarism and unfair trade policies. But the superdelegates aren't listening. To be fair, some never were. Back in November, three months before the first vote had been cast, at least 359 of the 712 had already aligned themselves with Clinton, versus just 8 with Sanders. Clinton claimed 500. Now the gap is 520 to 39, with the rest undecided. But it's important to note that, as has been broadly said, they can change their mind at any time. And, at their best, they are protection against the voters choosing someone profoundly flawed. Today we have such a candidate: one out of touch with the populus and her party; who has plummeted in trustworthiness and the polls as voters learn more about her; one potentially facing indictment from the FBI for violating the Espionage Act; and one with many secrets relating to her family foundation, her emails, and her speeches. Superdelegates, step up. First, let's explain that superdelegates will most likely determine the election. It would take Hillary Clinton amassing 69 percent of the remaining pledged delegates to gain the nomination without superdelegate support. Sanders would need 98 percent. Neither scenario is likely. In contrast, assuming a 50-50 split in remaining delegates, Sanders would need 72 percent -- 6 percent more than Obama in 2008 -- to clinch the nomination. But the situation isn't comparable. Hillary's weaknesses are far greater in the current political climate. Also, Obama had four times as many debates scheduled at more watchable times and much more fair media coverage. But we'll explore the details of what should be their rationale later "
Let's start with the basics. Are superdelegates' support today at all representative of voters and caucusgoers in the Democratic primary? No. Pledged delegates, awarded close to proportionally based on the popular vote or caucus activity, have split 55 percent to 45 percent for Hillary. In fact, in 41 of the 43 U.S. states and territories that have voted, superdelegates have a bias towards Clinton (the only two exceptions, Mississippi and Arkansas, have just 5 and 4 such votes). With the nine states with the most pledged delegates, the average is 40 percent. Washington state superdelegates pick Clinton a whopping 73 percent more than the caucus-goers chose. It's inexplicable. Except that it's not. The majority of superdelegates are candidates for office (with others being lobbyists). The average Senate seat costs over $10 million, with the average House seat coming in at $1.7 million. The Democratic National Committee helps with campaigning and fundraising. Run by former Clinton 2008 co-chair Debbie Wasserman Schultz, it has made numerous decisions broadly viewed as helping Clinton, while hurting democracy and Sanders. Clinton is now cranking up donations from the wealthy and corporations, breaking Democratic precedents, and relying on unethical practices in an attempt to take full, unprecedented advantage of that link. Her joint fundraising committee, the Hillary Victory Fund, raises funds for 33 state parties. Her aggressive fundraising is unusual as: 1) presidential candidates usually enter agreements with their parties committees only after they win the nomination, 2) it takes full advantage of the McCutcheon vs. FEC Supreme Court decision and a later Congressional provision to accept checks of up to $353,400, and 3) it accepts money from lobbyists despite President Obama's decisions not to do so. Clinton has also engaged in bizarre practices (in what's been described as laundering) as donations are sent back to the state parties then back to the DNC where they work for her. She's used it to court small donors even as she maxes out of many (nearly 60 percent for her vs. 2.3 percent for Sanders). The Sanders campaign has questioned this practice. Public Citizen's Craig Holman said it is "offensive, and it should be illegal." The recent Democracy Spring and Democracy Awakening protests identified money in politics as the top threat to democracy. How can Clinton be viewed as someone who will fix it? 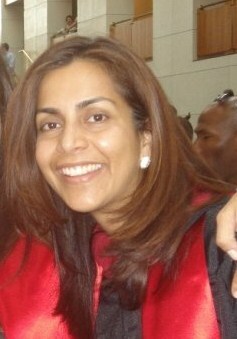 Veena Trehan is a DC-based journalist and activist. She has written for NPR, Reuters, Bloomberg News, and local papers.